Summer is here, beckoning us to enjoy the outdoors. As much as we love a good picnic, it’s time to go beyond traditional decor and do a picnic in style. 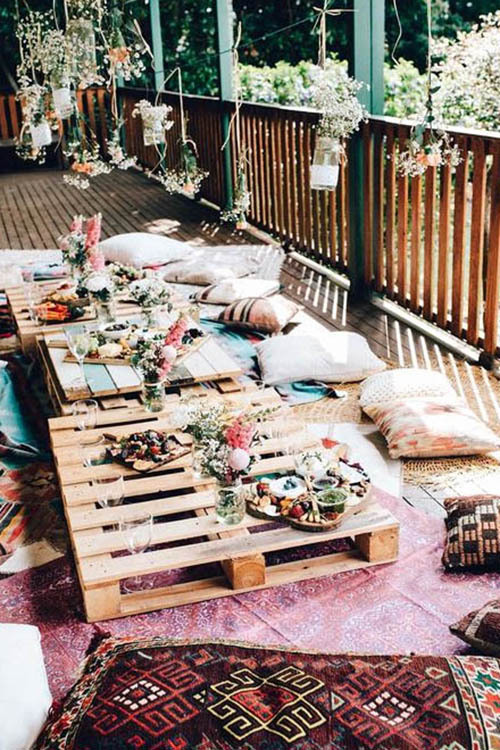 The sky's the limit when it comes to creating a boho chic picnic atmosphere. 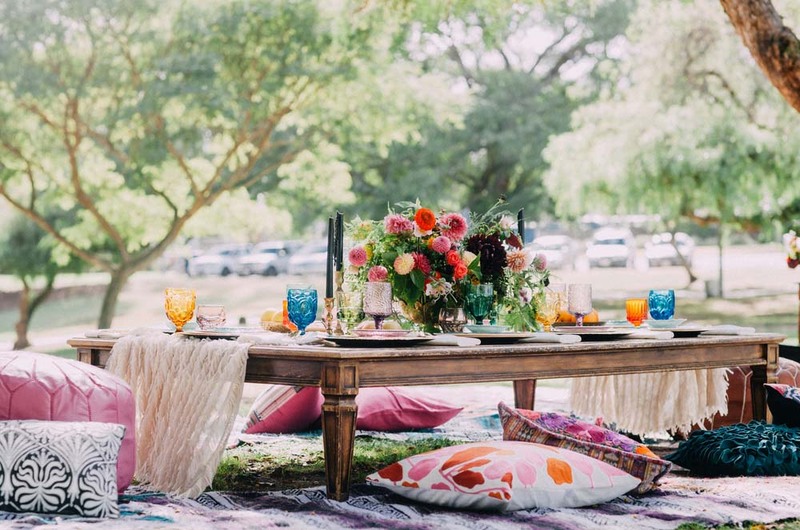 Wherever the location, be bold and fearless by following these simple tips on how to plan your next boho chic summer picnic. Boho chic is all about being free-spirited and embracing the natural elements surrounding you. 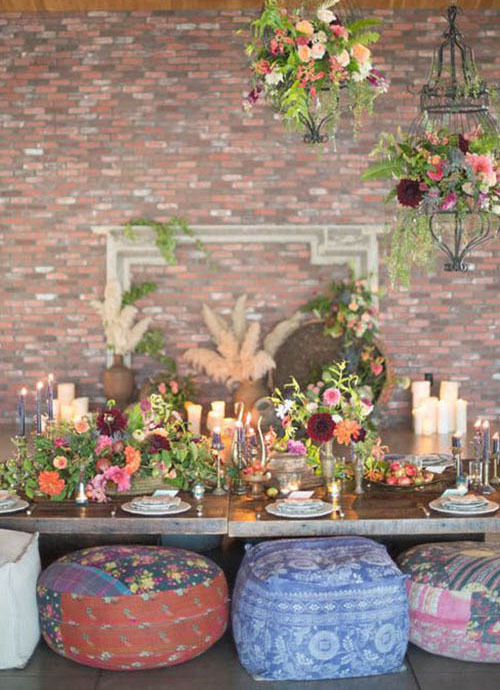 A great way to introduce your guests to the boho world is by adding fun and interesting materials you can literally find outside your doors. Choose a mix of wildflowers or roses from your garden, dahlias, pampas grass and even small branches to create different textures and heights to achieve that gorgeous look. 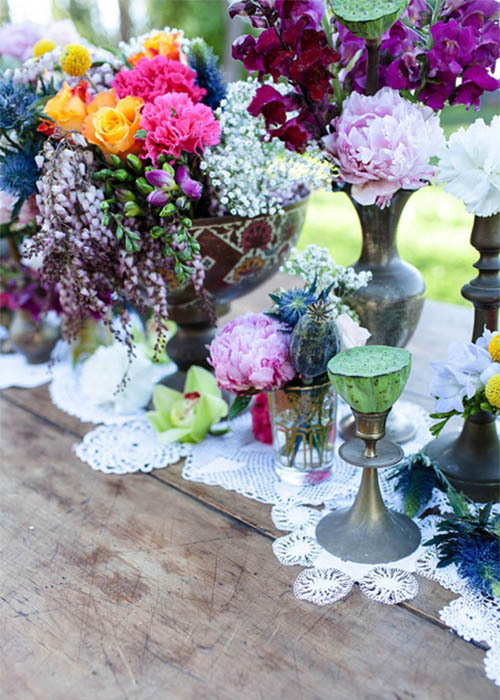 Use a variety of glass vessels and vintage bottles to create a boho vibe. Complete the look by suspending floral arrangements above table tops or place them as centerpieces for a classic boho chic look. 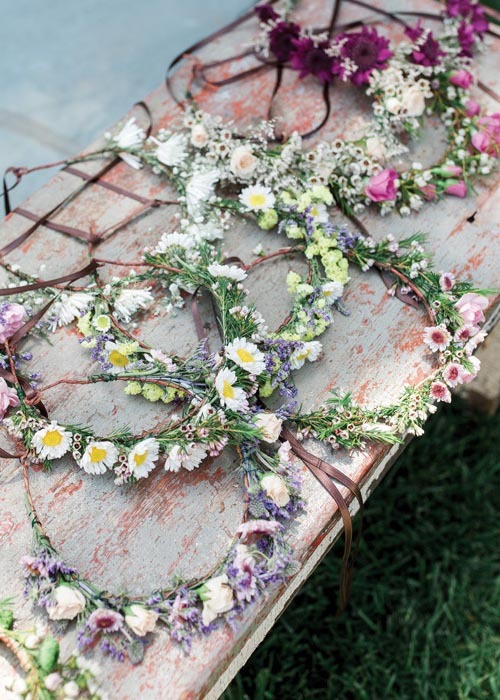 Be creative and have your guests create their very own wearable florals, a perfect activity for kids or even bridal showers. Keep it simple by serving delicious, nourishing meals without the mess. Choose fresh-cut produce like watermelon, strawberries, grapes, and blueberries. Place them on skewers, freeze them overnight and serve them cold. It's the perfect way to offer refreshing fruits on hot summer days. Save more time by preparing your family’s favorite bite-size finger food: pizza sticks, crab cake hush puppies, or herbed onion parmesan toasts. But don't forget to serve freshly cut salads mixed with green apples, walnuts, and cranberry. 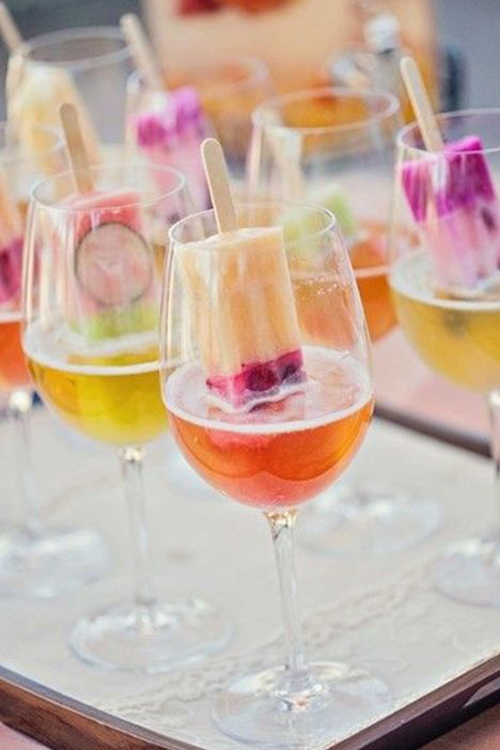 For a sophisticated boho chic picnic, cool down and take adult cocktail drinks up a notch by infusing them with your favorite flavored popsicles. Nothing says “summer fun” more than a little bit of chilled alcoholic drinks. 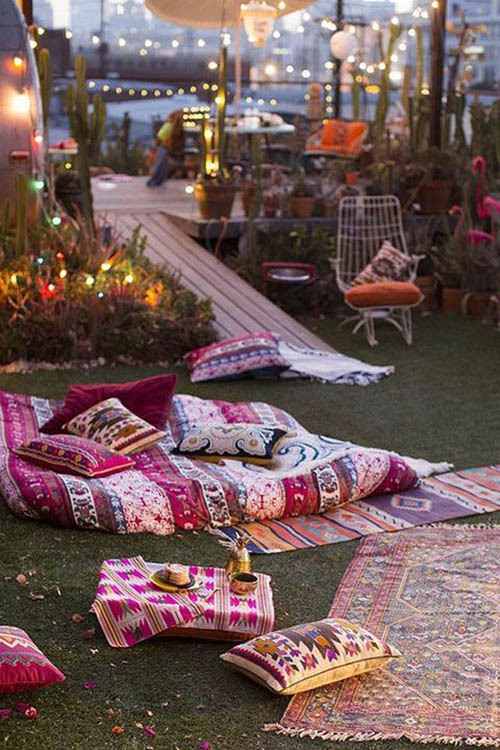 Pillows and tapestries make the perfect outdoor accessories for a stylish picnic. Choose rich and vibrant colors to compliment all the greenery and florals of the outdoors. Use velvet pillows that are soft and overstuffed for super comfort or stick to leather for a handcrafted and vintage bohemian look. This is your chance to pack as much personality as possible -- a requirement when creating a bohemian chic picnic. 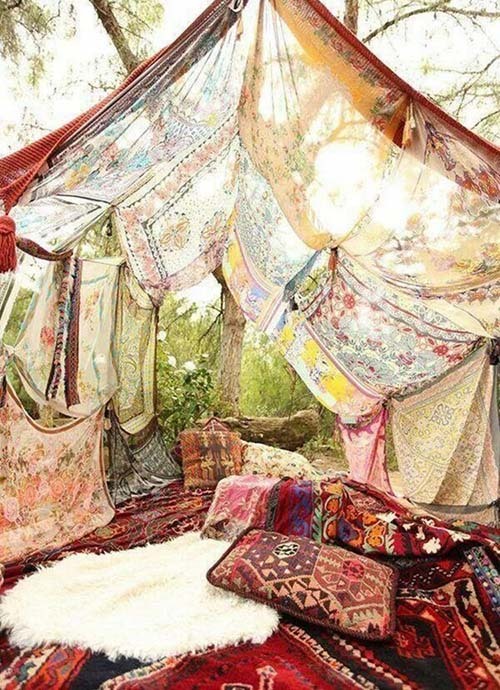 By using several tapestries that are sheer and with different designs, you can create an airy yet beautifully busy atmosphere, which is what the bohemian style encourages. Your environment should look eclectic and full of unique textures and creative prints, so don’t be afraid to over-do the look; go ahead and mix in as many prints as you want. Bohemian style embraces “handmade” and “handcrafted” materials. So have your friends and family DIY your boho decor pieces for a unique and interesting look. 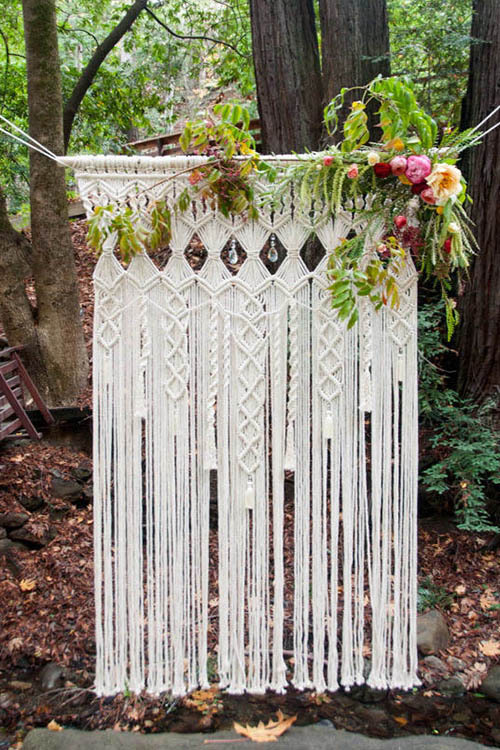 Use branches to create macrame designs. They’re super cute and make the perfect backdrop for photos. This type of design can also be used as focal points to seating or dining areas (wherever you need to draw attention). For an added whimsical and dreamy atmosphere, add various sizes of dreamcatchers along walls, decks, porches, or even on trees. They’re fun to make with the kids and great to take home as souvenirs after the picnic is over. Don’t stop there with the boho decor pieces. Try using wooden pallets as low top dining tables or stack them for added height. They can easily be taken apart and rearranged to make small benches or side tables. Paint the wooden pallets with medallion designs for an amazing look you can bring back in the house. 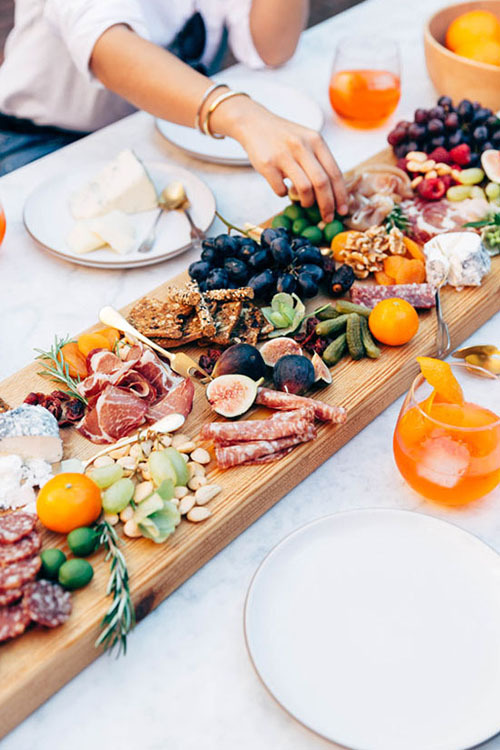 Whether it’s a romantic picnic for two or a get-together with close friends and family, an “under the stars” picnic is the perfect way to enjoy warm summer nights. Create an area in the backyard where you can relax and unwind. Using string lights in trees, gently wrap them around branches and hang them over tables and chairs. For a soothing and dreamy atmosphere, swing the lights over your favorite hammock and drape them down walls for a cute photo background. Take it a step further and light up your garden using fairy lights to illuminate special areas or plants. Want to make it a night to remember? 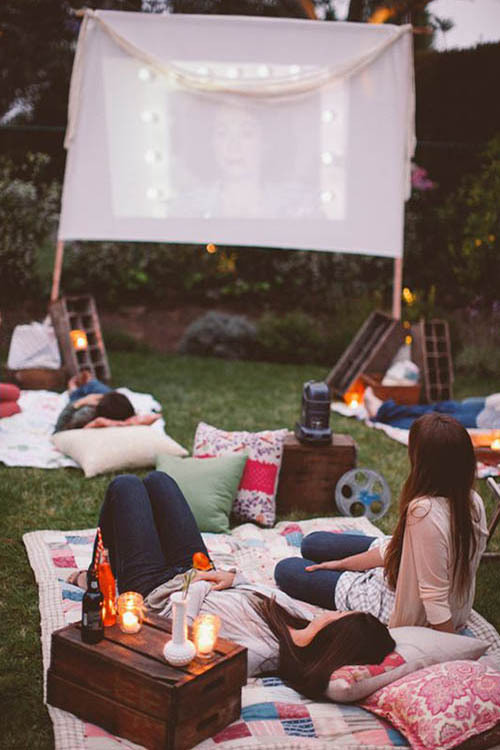 Throw your friends a movie night! Whatever you decide to serve or create with your loved ones, just remember to have fun with the boho style.